Insurance is about trust, as much as it is about money. People who buy insurance need to be able to trust that providers will cover them. Providers need to be able to trust clients that their claims are genuine. If you’re looking at claims, here are some red flags you need to keep an eye out for. 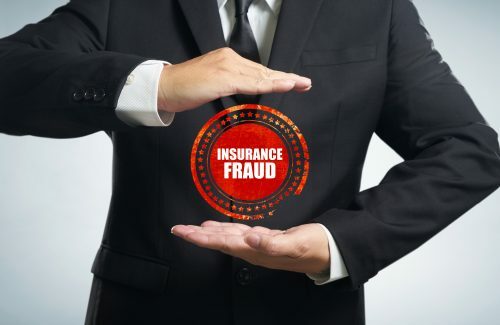 While some people are just prone to bad luck, individuals or businesses prone to insurance fraud rarely do it just the one time. That’s why if someone has a long history of claims, it’s best to go over each one with a fine-toothed comb. According to How It Works, the National Insurance Crime Bureau has compiled a list of unusual circumstances that tend to point toward false claims. For example, if a claim happens conveniently after someone increased his or her coverage on a house or car, then the “accident” may not have been so accidental. It seems like an old movie cliche, but if the date of the claim is too close to circumstances that made it worth more money, a deeper investigation is definitely called for. While not unheard of even in these days of cloud computing and smartphones, handwritten receipts are a huge red flag when it comes to insurance claims. The bigger the amount the receipt is for, or the more expensive the item or service, the more suspicious the receipts should be considered. While it might seem like paranoia to send a private investigator out to every incident of insurance claim, when there are signs of potential fraud present it’s important to get fresh eyes on the scene. Professional investigators are often the first line of defense, and experienced professionals can spot when someone is trying to bleed an insurance provider. Even if investigators find nothing, though, that should provide peace of mind for their clients. For more information on insurance fraud, and the warning signs you should keep an eye out for, simply contact us today!